Having just won a revolution, the Founders were faced with constituting a new nation. Under the constitutional plan devised by the Founders, they had to identify who were the members of the new nation. They called these members “citizens” of the United States. Thus, they created our first generation of United States “citizens.” These persons were either born abroad or in the British colonies before July 4, 1776 or abroad or in the new States thereafter, but in all cases inhabited one of the colonies or States and were loyal to the American revolution. The Founders under Article II grandfathered these original “citizens” to be eligible to be President. Under this plan, once the new nation had its first generation “citizens,” it was placed in position to have in the future its Article II “natural born Citizens,” who would be born in the United States after the adoption of the Constitution and descend from mothers and fathers who were both original “citizens.” Given that America was already a land of immigrants and that the Founders expected that many more immigrants would come to its shores in search of a new life and to share in its vast resources, they gave Congress in Article I, Sec. 8, cl. 4 the power to naturalize aliens and thereby create more future first generation United States “citizens.” Having become a naturalized “citizen,” one would then be in a position to procreate with another “citizen” (born or similarly naturalized) a “natural born Citizen” who would be eligible to be President. 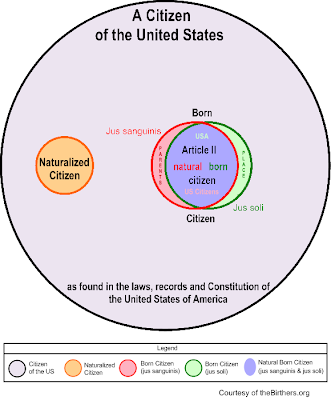 Throughout American history, there have been no doubts or disputes as to who is a “natural born Citizen.” As we have seen, it was not English common law but the law of nations that became United States common law that defined a “natural born Citizen.” It defined such a citizen as being born in the country to parents who are themselves citizens. It is this definition which our United States Supreme Court incorporated into our federal common law. It is this definition that creates subsequent generation “citizens” who are “natural born Citizens.” They are subsequent generation because born in the country to a mother and father who are citizens. On the other hand, throughout our history, there have been doubts and disputes as to who may be a born “citizen” (as distinguished from a “natural born Citizen” or a naturalized citizen). These disputes have concerned the question of whether to be a “citizen,” must a child be simply born on U.S. soil and be subject to its jurisdiction, without any reference to the citizenship of the parents (jus soli which follows the old English common law), or must that child also be born to U.S. citizen parents (jus soli and jus sanguinis united which follows the law of nations’ definition and which any way only applies to “natural born citizens”). This dispute has concerned the question of whether we should declare a child a first generation “citizen” (in effect having the same status as one of the original first generation “citizens” which Article II grandfathered to be eligible to be President). The dispute has not been with whether we should declare that child a subsequent generation “natural born Citizen.” The Fourteenth Amendment settled who could be a “citizen” by bestowing such status upon those born in the United States or naturalized here and subject to the jurisdiction thereof. “Citizens” who meet this Fourteenth Amendment definition can be either first or subsequent generation United States “citizens.” If first generation, they are simply “citizens.” If subsequent generation, they are not only “citizens” but also “natural born Citizens.” Congress has also declared who may be a born “citizen” through legislation and has thereby not only confirmed what is already stated in the Fourteenth Amendment but has also granted citizenship to children born out of the United States to U.S. citizen parents (one or two). Senator McCain, being born in Panama, falls into the two United States-parent category. The question of whether foreign-born children, born to two United States parents and thus falling in this category (by definition they would be subsequent generation “citizens” but not born in the United States) are “natural born Citizens” has not been resolved by any Court. If such a child were born to just one United States citizen parent, he or she would not only acquire the allegiance and loyalty of the nation on whose soil he or she may be born but also that of his or her foreign parent’s nation and thereby further compromise his or her claim for “natural born Citizen” status. A study of citizenship and nationality case law, statutes, treatises, and other sources shows that one acquires allegiance and loyalty through citizenship. Obama has admitted that under the British Nationality Act 1948 when he was born, his father was a British subject/citizen and not a U.S. citizen and that he himself was a British subject/citizen by descent from his father. 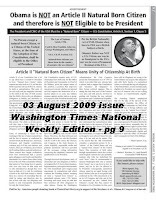 Therefore, what is clear and established by his own factual admissions is that Obama cannot satisfy the definition of an Article II “natural born Citizen,” for he was born with allegiance and loyalty not only to the United States (assuming he was born here) but to the same degree also to Great Britain. The best that Obama can be is a Fourteenth Amendment “citizen,” assuming that he was born in the United States and assuming that one born subject to a foreign power can also be born subject to the full and complete legal and political jurisdiction of the United States. In such a case, he would be a subsequent generation “citizen” through his American mother but only a first generation “citizen” because of his foreign father. If Obama was not born in the United States or if being born in the United States he was not born subject to its jurisdiction, then he is not even a “citizen” under the Fourteenth Amendment or any applicable Congressional Act. Hence, we can see that Obama is missing the mandatory Article II constitutional status of being at a minimum a second generation “citizen” through both a citizen mother and citizen father. What creates further allegiance and loyalty problems for Obama is that his birthright British citizenship, which continues in effect until today, also allowed him to gain Kenyan citizenship from the age of 2 to the age of 21 or 23. Being 47 years old when he was elected, just his Kenyan allegiance and loyalty occupied him for almost one-half of his then life span. It is Obama’s being only a first generation U.S. citizen because of his father not being a United States citizen at Obama’s birth that caused his divided allegiance and loyalty at birth (United States v. British and Kenyan) and disqualifies him to be President and Commander in Chief. It is through his father that Obama was born with allegiance and loyalty to Great Britain (which continues until today), which then converted to allegiance and loyalty to Kenya. It does not matter that his mother was a United States citizen because at birth Obama inherited allegiance and loyalty to a foreign power (Great Britain) from his father just as he would have inherited allegiance and loyalty to a foreign power if born to parents who were both non-United States citizens. By Obama’s mother being a United States citizen at his birth, Obama was just spared acquiring even another foreign allegiance and loyalty. Just like a naturalized citizen who--despite taking an oath renouncing all foreign allegiances and loyalties and which incidentally Obama has never done--cannot be President because he or she is born with allegiance and loyalty to a foreign country, Obama, born with allegiance and loyalty to a foreign country, also cannot be President. All this leads to the inescapable conclusion that Obama is not an Article II "natural born Citizen" and is therefore ineligible to be President and Commander in Chief of the Military. The Chalice Show - Patriot's Heart Broadcasting - BlogTalkRadio Network 9 to 11 p.m. EDT Sunday 30 Aug 2009 - Kerchner et al v. Obama & Congress lawsuit. 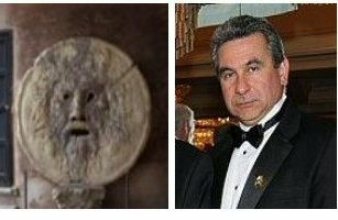 Atty Mario Apuzzo and Charles Kerchner, Lead Plaintiff will be the guests for the second hour of the show at 10 p.m. http://www.blogtalkradio.com/PatriotsHeartNetwork/2009/08/31/The-Chalice-Show. A FAQ Recently - Have We Heard Anything About the Case? The answer is no we have not. For a summary of where we are legally at with this case in general, and for any possible update comments, one should usually check the link for the Summary of Latest Court Activity in the right frame of this blog. For your convenience the link and today's update comment is repeated here: Summary of Latest Court Activity. Charles Kerchner, Lead Plaintiff. Case Update 30 Aug 2009: There are currently two motions before Judge Simandle and he is now late in ruling on both. The Defendents' Motion to Dismiss had a return date of 3 Aug 2009 and thus the Judge is 4 weeks late in that ruling. The Plaintiffs' Cross-Motion to grant leave retroactively to the Plaintiffs and allow the 2nd Amended Complaint to stand in the case and not be stricken had a return date of 17 Aug 2009 and thus the Judge is 2 weeks late in that ruling. And according to the federal rule on amending cases the regs say that the Judge should be very liberal in granting such leave. Thus making a decision on the second motion aforementioned should be rather easy for the Judge. But it appears that he is choosing to address them both together and is taking his time in doing it. There is nothing we can do to speed up a Federal Judge. Charles Kerchner, Lead Plaintiff. POL P&E Efforts Update 30 Aug 2009: Link to latest advertorial-31 Aug 09 in the Washington Times National Weekly, page 9. To learn how you can help us continue this advertising and educational drive please visit: http://www.protectourliberty.org/. Charles Kerchner, Lead Plaintiff. There are two United States Supreme Court decisions that show that the meaning of an Article II “natural born Citizen” is not found in the Fourteenth Amendment or in any other part of the Constitution, but rather in the common law. The Supreme Court decided these cases after the Fourteenth Amendment was adopted in 1868. In the first case, the Court decided whether the person was a "natural-born citizen" and in the second one whether the person was a "citizen of the United States." Chief Justice Waite, in Minor v. Happersett, in 1875, stated: "The Constitution does not, in words, say who shall be natural-born citizens. Resort must be had elsewhere to ascertain that. At common-law, with the nomenclature of which the framers of the Constitution were familiar, it was never doubted that all children born in a country of parents who were its citizens became themselves, upon their birth, citizens also. These were natives, or natural-born citizens,as distinguished from aliens or foreigners. Some authorities go further and include as citizens children born within the jurisdiction without reference to the citizenship of their parents. As to this class there have been doubts, but never as to the first." Minor v. Happersett, 88 U.S. 162 (1875). Additionally, it is important to note that, even though the Fourteenth Amendment was already in place, Justice Waite stated that there is doubt as to whether a child born in the United States to foreign parents is a citizen (Id. at 167-68) and that the Fourteenth Amendment did not affect the citizenship of men or women. Id. at 170. It is also critical to note that Justice Waite did not refer to the English common law when defining a "natural born citizen," for we shall see that the English common law did not consider the citizenship of the child's parents when declaring that child a "natural born subject." Rather, Justice Waite refered to the "common law" that as we shall see below has its origins in the law of nations and natural law and which became U.S. common law. Justice Grey, 23 years later in U.S. v. Wong Kim Ark (1898) repeated what Justice Waite said in Minor about the need to resort to common law when defining “natural born Citizen:” "In Minor v. Happersett, Chief Justice Waite, when construing, in behalf of the court, the very provision of the fourteenth amendment now in question, said: ‘The constitution does not, in words, say who shall be natural-born citizens. Resort must be had elsewhere to ascertain that.’ And he proceeded to resort to the common law as an aid in the construction of this provision." U.S. v Wong Kim Ark, 169 U.S. 649 (1898). Given the profound differences between the citizenship rules associated with the English common law and those connected with American national citizenship, it is evident that the Founders did not use English common law to define what an Article II “natural born Citizen” is but rather used the law of nations for that purpose which became incorporated into and became federal common law. George Mason, the "Father of the Bill of Rights" and one of the "Founding Fathers" of the United States, proclaimed: “The common law of England is not the common law of these states.” ( Debate in Virginia Ratifying Convention, 19 June 1788). To the extent that the English common law was relied upon in the colonies and States, that law was at the time that the Constitution was adopted “to a greater or less extent, recognized as the law of the States by which the Constitution was adopted.” The English common law would, however, be applied to determine questions of citizenship only if the written law was silent, i.e., there was no statute or federal or state court decision on the subject. Ludlam, Excutrix, & c., v. Ludlam, 26 N.Y. 356 (1863). But the Founders did not rely upon the English common law to define the new national United States citizenship that they created for the new Constitutional Republic. Rather, the Founders replaced the English common law with the law of nations which became the new U.S. federal common law and the law of the federal government. Upon independence from Great Britain, the United States "were bound to receive the law of nations, in its modern state of purity and refinement. Ware v. Hylton, 3 Dall. 199. 199, 281 (1796). In The Nereide, Justice Marshall stated that the “Court is bound by the law of nations, which is part of the law of the land.” 13 U.S. 388, 423 (1815). “The courts have always considered the law of nations to be part of the law of the United States.” M. J. Glennon, Constitutional Diplomacy (Princeton, NJ: Princeton University Press 1990), at 245. There are numerous other authorities that state that the law of nations became the national law of the United States. Even William Blackstone recognized the importance of the law of nations which he considered "universal law" and the life blood of a nation wanting to be part of the "civilized world." 4 W. Blackstone, Commentaries on the Laws of England 67 (1769). Hence, the law of nations, when not codified into any Act of Congress, became the common law of the United States. The Framers did not define an Article II "natural born Citizen" because they did not see a reason to. It was a term that was well defined by the law of nations and well-know by civilized nations. Given that citizenship affects "the behavior of nation states with each other" (Sosa v. Alvarez-Machain, 542 U.S. 692 (2004), all civilized nations knew what the definition of citizenship was. The Founders believed that the common law was discoverable by reason and was forever present, a "discoverable reflection of universal reason." Sosa. So since the Constitution did not define "citizen" or "natural born Citizen," "resort must be had to the customs and usages of civilized nations" found in the law of nations, as defined by scholars, jurists, and commentators of the time who devoted “years of labor, research and experience” to the subject. The Paquete Habana, 175 U.S. 677, 700 (1900). We know from the historical record and from the way the Constitution is framed that the Founders relied heavily upon Emmerich de Vattel and his highly acclaimed treatise, The Law of Nations or Principles of the Law of Nature (1758), as a crucial and fundamental guide in knowing what the law of nations was. Alexander Hamilton was the key organizer of the movement to hold the Constitutional Convention that produced the Constitution. No one played a more important role than Hamilton in the adoption of the Constitution. Of all the Founders, he was the one most influenced by Vattel. http://east_west_dialogue.tripod.com/vattel/id5.html. In 1784, Hamilton, as the lawyer for the defense, arguing in the case of Rutgers v. Waddington, quoted prolifically from E. Vattel’s, The Law of Nations. The Waddington case shows how Vattel shaped Hamilton’s thinking. Hamilton argued that the law of nations was part of the common law and that the decisions of the New York Legislature must be consistent with the law of nations. Hamilton used Vattel as the standard for defining the law of nations. Hamilton argued that state law was superseded by national law and the law of nations. He also argued that the intent of the state legislature had to be that their laws be applied in a fashion that was consistent with national law and the law of nations. Judge James Duane in his ruling described the importance of the new republic abiding by the law of nations, and explained that the standard for the court would be Vattel. He ruled that the New York statute passed under the color of English common law must be consistent with the law of nations. Thomas Lee (University of Chicago Law), in his essay, “The Safe-Conduct Theory of the Alien Tort Statute,” said: "The treatise by the Swiss thinker Emmerich de Vattel entitled The Law of Nations or Principles of the Law of Nature Applied to the Conduct and Affairs of Nations and Sovereigns was the supremus inter pares of the international law texts the founding group used during the crucial decade between 1787 and 1797. The Founders also read and cited other leading authorities, most notable Hugo Grotius and Samuel Pufendorf, but Vattel was their clear favorite. " Vattel, in his masterpiece legal treatise, The Law of Nations or Principles of the Law of Nature, in Book I, Chapter XIX, analyzed citizenship and related topics. The Founders knew that Vattel defined a "citizen" simply as any member of society. 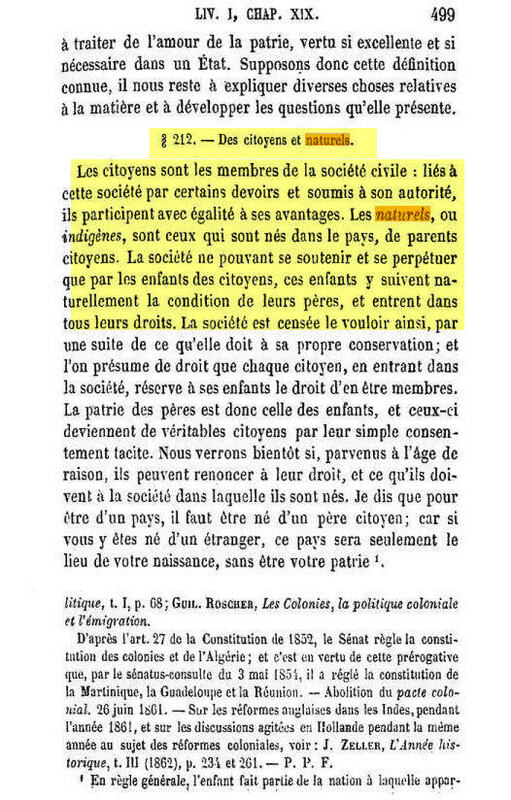 They also knew from reading Vattel that a "natural born Citizen" had a different standard from just “citizen,” for he or she was a child born in the country to two citizen parents (Vattel, Section 212 in original French and English translation). That is the definition of a "natural born Citizen," as recognized by numerous U.S. Supreme Court and lower court decisions (The Venus, 12U.S. 253(1814), Shanks v. Dupont, 28 U.S. 242 (1830), Scott v. Sandford, 60 U.S. 393 (1856), Minor v. Happersett, 88 U.S. 162 (1875) , Ex parte Reynolds, 20 F. Cas. 582 (C.C.W.D. Ark 1879), United States v. Ward, 42 F. 320 (1890); Wong Kim Ark, 169 U.S. 649 (1898), Ludlam, Excutrix, & c., v. Ludlam, 26 N.Y. 356 (1863) and more) and the framers of the Civil Rights Act of 1866, the 14th Amendment, the Naturalization Act of 1795, 1798, 1802, 1885, and our modern 8 U.S.C. Sec. 1401. It should be noted that during the Founding and throughout American history, there has always been a distinction between a general “citizen” on the one hand and a “natural born citizen” on the other. The law of nations did not make any specific requirements for one to be a “citizen” of a nation, for such a person was basically just a member of the civil society. Before and after the revolution, the Founders considered anyone who resided in the colonies or States and who adhered to the revolutionary cause to be a “citizen,” regardless of place of birth or condition of the parents. But the law of nations did provide for a strict definition of a “natural born citizen,” i.e., a child born in the country of citizen parents. And the Founders also adopted that stricter definition for an Article II “natural born Citizen” which applied only to one wanting to be President and Commander in Chief of the Military. The Founders also understood what “natural allegiance” was. They knew that “liegance, and faith and truth, which are her members and parts, are qualities of the mind and soul of man, and cannot be circumscribed within the predicament of ubi.” (p. 76). Calvin’s Case (1608) (7 Coke, 1, 6 James I.) They understood that an English "natural born subject" residing out of the kingdom or jurisdiction of the king still owed allegiance to the king of England. Id. Hence, they understood that “natural allegiance” or “allegiance by birth” does not depend upon locality or place; that it is purely mental in its nature, and cannot, therefore, be confined within any certain boundaries. . .” Ludham, 26 N.Y. at 363. They understood that natural allegiance or allegiance by birth did not depend upon boundaries or place but rather upon parentage. Id. at 364. The Founders understood that “as long as the parents continue to owe allegiance to the crown of England, so long will their children, by the rules of the common law, whether born within or without the kingdom, owe similar allegiance, and be entitled to the corresponding rights of citizenship.” Id. at 365. Finally, the Founders also understood that even though a child may be born on U.S. soil, if he was born of a British father, the Crown of England owed that child the same protection that it owed the father. Id. at 370-71. Simply stated, the definition of “natural born subject” as found in the English common law simply did not work for the Founders. Great Britain was a monarchy and the new nation was a Constitutional Republic. Great Britain did not have a President to be democratically elected by the people but the new nation did. Great Britain was not concerned with foreign influence making its way into the hereditary monarchy but the Founders were concerned about the Office of President being attacked from within and without with foreign influence infecting not only the voters but also the political leaders themselves. The Founders understood that citizenship and allegiance went together. The born-in-country-to-two-U.S.-citizen-parents formula was the best way for them to assure that only a person with undivided allegiance and loyalty to the United States would be eligible to be President and Commander in Chief of the Military. This test was not tied to the physical territory alone, which the Founders understood and which Lord Coke confirmed did not assure anyone’s natural allegiance. The Founders learned from Vattel that under the law of nature, the condition of a child followed the condition of his parents and not the place of his birth. Vattel, Sec. 212-15. Hence, their test combined both the soil with the allegiance of the child’s parents into the child at the time of birth. For the Founders, this was the best way to assure sole and absolute allegiance in the new-born child. The Founders knew that the States had their own laws on how they defined citizens and how they naturalized aliens. United States v. Rhodes, 27 F.Cass. 785, 791 (1866). They also knew that these laws were not uniform. 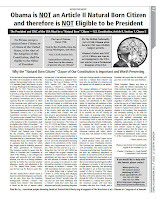 The Founders in Article I, Sec. 8, cl. 4 took away from the States the power to naturalize a person and gave it exclusively to Congress so that it could make uniform the laws of naturalization. The Founders also wanted a uniform definition of “citizen” and “natural born Citizen,” for how could they have wanted uniform laws regarding naturalization and not the same for citizenship. Further evidence that they wanted this uniformity may be found in Article IV, Sec. 2 which states: “The Citizens of each State shall be entitled to all the Privileges and Immunities of Citizens in the several States.” This clause shows that the Founders also wanted to take away from the States not only the power to naturalize but also the power to define citizenship, for “a person becoming a citizen in one State, would thereby become a citizen of another, perhaps even contrary to its laws, and the power thus exercised would operate beyond the limits of the State.” Gibbons v. Ogden, 22 U.S. 1, 36 (Wheat) (1824). The law of nations provided them with those definitions which were also accepted by other civilized nations and which allowed them to establish a national standard for citizenship that would be incorporated and become part of United States national law. After the Constitution was adopted, every State still had the right to enact laws that denied citizenship at birth to some children born in that State, such as children of African or Native-American descent, and children whose parents were not U.S. citizens. These States would not have denied citizenship to any such individual if the nation had adopted the doctrine that everyone born on U.S. soil is a “natural born Citizen." Additionally, all States were unanimous in granting citizenship at birth to children who met both the jus soli ( born on United States soil) and the jus sanguinis criterion (born to U.S. citizen parents). Some states routinely denied citizenship at birth to children who met only one of these criteria but never both. This difference among the States would not have occurred if the United States had adopted the English common law jus soli concept as part of its national citizenship law. This difference of opinion that existed as to what constituted a “natural born Citizen” or even a “citizen” was commented upon by the Court in Minor v. Happersett. Furthermore, everything that the Founders established about citizenship in the United States is not consistent with British common law that treats the subject. The English common law did not use the concept of “natural born subject” as a means to protect the head of the military and civilian government of Great Britain from foreign influence. Rather, the British were very liberal in granting “natural born subject” status so as to create for its monarchy-based empire as many subjects as possible. We saw an extreme of this policy when Great Britain insisted on impressing American sailors into its military which practice lead to the War of 1812. But John Jay, in writing to General George Washington on July 25, 1787, was very specific that the Commander in Chief of the military would have to be a “natural born citizen” (underlining born in the original) so as to assure that no foreigner would hold that office. The Founders accepted Jay’s recommendation and included in Article II the “natural born Citizen” clause. Hence, Americans were very cautious in granting “natural born Citizen” status because they had a democratically elected President and Commander in Chief of the Military and representative form of government which they needed to protect from foreign influence. This was consistent with the law of nations. The English common law did not distinguish between a “natural born subject” and a naturalized subject. "The English common law provided that an alien naturalized is “to all intents and purposes a natural born subject.” Co. Litt. 129 (quoted and cited in United States v. Rhodes, 27 F.Cass. 785, 790 (1866).). Under English common law, once a person became naturalized, he or she was deemed to be a “natural born subject.” Hence, under English common law a naturalized citizen was considered a “natural born subject.” Hence, giving the “natural born Citizen” clause the same meaning as a “natural born subject” would have allowed a naturalized citizen to be eligible to be President of the new Republic. But Article II, Section 1, Clause 5 mandates that only a “natural born Citizen” is eligible to be President. The clause is written as “No person except . . . shall be eligible . . .” which means that one must be a “natural born Citizen” in order to be eligible to be President, with no exceptions. The way we have interpreted the “natural born Citizen” clause since the beginning of the Republic, a naturalized citizen is not eligible to be President. But assuming the “natural born Citizen” clause had the same meaning as a “natural born subject,” with the Constitution as written it would not have conveyed in any manner that a naturalized citizen was not eligible to be President. No where do we find in the Constitution any statement that a naturalized citizen is not eligible to be President. 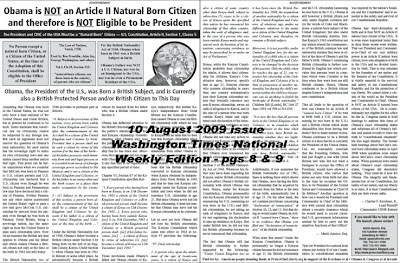 To reach this conclusion, we have always relied upon the “natural born Citizen” clause itself which we have compared with the fact that the Framers prescribed in Article I that naturalized citizens were eligible to be Senators (“nine Years a Citizen of the United States”) and Representatives (seven Years a Citizen of the United States”) . The manner in which the Framers provided that Senators and Representatives needed to be “Citizen of the United States” for only a certain amount of years shows that the naturalized citizen class was included within “Citizens of the United States” and not within “natural born Citizens.” This shows that naturalized citizens were not part of “natural born Citizens.” Hence, equating the meaning of a “natural born Citizen” to a “natural born subject” would have allowed naturalized persons to be President, a result that we have rejected from the beginning of the Constitutional Republic. Such a meaning would have created an exception to the “natural born Citizen” clause which would have eviscerated the clause itself. Additionally, since Congress has the power under Article I, Section 8, Clause 4 to make uniform the naturalization laws, such a meaning would have given Congress the power to decide who could be President by simply changing the naturalization requirements. The Framers, fearing that Congress would allow foreign influence to creep into the office of President if it were given the power to select the President, did not give Congress such power. English common law did not distinguish between "natural born subject" and "subject." The Founders, the framers of the 14th Amendment, all Congresses in their Acts, and virtually all courts in their decisions have treated “natural born Citizen” and “citizen,” as two separate and distinct terms. This dichotomy is consistent with the law of nations which did make such a distinction. This distinction shows that “citizens” could be created by the Fourteenth Amendment and Congressional Acts but an Article II “natural born Citizens” could only be created by satisfying the natural law standard as expressed in the law of nations (place of birth and parentage). Unless they were ambassadors/diplomats or alien enemies, the English common law considered irrelevant the citizenship of the child's parents when determining whether a child born on English soil was a "natural born subject." The Founders knew from the law of nations that in England, the “single circumstance of being born in the country naturalises the children of a foreigner.” Vattel, Sec. 214. This would have been consistent with the monarchy’s desire to make as many “natural born subjects” as possible for its growing empire. The U.S. common law went beyond these two exceptions and did consider relevant the condition of the child's parents when determining whether the child was to be afforded U.S. citizenship at birth. See the cases cited above. Under the law of nations, such a child born in the country to foreign parents was considered to have been naturalized under English law. But again, the Framers would not have allowed such a naturalized child to be considered a “natural born Citizen,” for they permitted the latter to be President but not the former. The maxim that was applied in this connection is recognized in the law of nations and was partus sequitur patrem (the child follows the condition of the father). Shanks v. Dupont, Barry v. Mercein, 46 U.S. 103 (1847); Ludlam, 26 N.Y. at 376; Ex parte Reynolds, and United States v. Ward. The English common law had no concern for whether a person consented to be declared a "natural born subject." This phenomenon was made much worse by the British not allowing any "natural born subjects" to expatriate and forcing them to be bound to the King for life through their perpetual natural allegiance. The English common law provided for perpetual natural allegiance which a subject could never renounce (once a British subject always a British subject). The English common law did not allow for a “natural born subject” to elect upon becoming of age another citizenship. English common law did not recognize a “natural born subject” as losing his or her allegiance to the King through the act of naturalizing in another country. But U.S. common law and statutes provided that an alien or U.S. citizen could expatriate and become a different citizen from that which he/she was born. For the Founders, consent was the foundation of citizenship. It was through that consent that the Founders expected U.S. citizens to give their absolute and sole allegiance to the U.S. This consent which was expressed as a transfer of allegiance to the U.S. was also critical to an alien becoming a naturalized U.S. citizen. It was expatriation that allowed foreigners to come to America, naturalize, and procreate a child on U.S. soil, which allowed that child to be born with sole allegiance and loyalty to the U.S. and eligible to be President. The Founders’ knowledge of consent as the basis for citizenship and acceptance of expatriation and election of citizenship upon becoming of age, had their source in the law of nations and not in the English common law which did not involve itself with these concepts. While the English common law recognized that “the king cannot reckon upon the full and absolute obedience” of persons who were either born with or voluntarily chose to have a dual allegiance, the English were not concerned in the least that their notion of "natural born subject" created, in not taking into consideration the citizenship of the child’s parents, dual allegiance problems. Reeve, History of the English Law. But American courts recognized that U.S. citizens born on U.S. soil to foreign parents or born abroad to U.S. citizen parents had double allegiance which significantly affected that person’s allegiance and political and military rights and obligations. U.S. law explicitly warns about the dangers and problems of dual allegiance. Perkins v. Elg, 307 U.S. 325, 344-48 (1939); Kawakita v. United States, 343 U.S. 717, 723-26, 733-36 (1952). America even went as far as passing curfew and exclusion laws during World War II which deprived freedom of movement and association to 14th Amendment American “citizens” of Japanese descent (their mothers and fathers were Japanese nationals) because of “pressing public necessity” and the need to provide America with every possible protection against espionage and sabotage which jeopardized America’s survival. The Court stated that this government action was justified because the “segregation of the disloyal from the loyal” within American 14th Amendment “citizens” of Japanese descent was not possible. See Korematsu v. United States, 323 U.S. 214 (1945). In other words, we could not place at risk the survival of our country for the sake of trying to determine who was loyal or disloyal to the cause. Our nation took the drastic action that it did against 14th Amendment “citizens” of Japanese descent because they were dual nationals and children of aliens or foreigners. Hence, even though these persons were 14th Amendment citizens, we still considered and treated them as being subject to a foreign power. Can we just imagine what would have happened if President and Commander in Chief Truman would have been a 14th Amendment “citizen” with a Japanese father. To be consistent, I guess our nation would have had to place him in a concentration camp too with the rest of the other 14th Amendment citizens of Japanese descent. Would our hypothetical President Truman have dropped the bomb on Japan? Would he have if his Japanese mother or father lived in Japan? Pre-revolutionary English statutes that provided that the foreign born children of British “natural born subjects” were deemed “natural born subjects” did not require that the parents had to reside in Great Britain at or prior to the time of the child's birth. U.S. statutes, on the contrary, required that the father had to be a resident of the U.S. at the time of the child's birth in order for the father to be able to transmit his U.S. citizenship to his foreign born child. These statutes also attached importance to when the child was born, for they were made only retrospective until changed many years later. The Naturalization Act of 1790 declared these children to be "natural born Citizens," and later in the Naturalization Act of 1795 just "citizens," but only retrospectively. It was not until the act in 1885 that Congress declared these foreign-born children to be "citizens," both retrospectively and prospectively. See Weedin v. Chin Bow, 274 U.S. 657 (1927). Hence, U.S. law, in these foreign born children cases, attached just as much importance to the actual U.S. residence of the father and when the child was born than it did to the foreign born child descending from the U.S. citizen parents. Also, American statutes considered these children only “citizens” and not “natural born Citizens.” This limitation was contrary to the English statutes which deemed these children “natural born subjects.” As an aside, consider that the Senate in formulating Resolution 511 relied in part upon the Naturalization Act of 1790 to declare McCain a “natural born Citizen.” This was error for two reasons: (1) the act was repealed by the Naturalization Act of 1795, which removed the “natural born” language and just kept in “citizen;” and (2) Congress declared the foreign born children of U.S. citizens to be “natural born Citizen” only retrospectively. In other words, only those children already born at that time were so declared, not children to be born in the future like McCain. and 1855 whose citizen-fathers were also born between 1802 and 1855. Lynch v. Clarke, 1 Sand.Ch. 583, 659-663 (N.Y.1844). Miller v. Albright, 523 U.S. 420 (1998) (J. Breyer dissenting). At the time of the Wong decision, Congress had decided that only Caucasians and African races could become citizens by naturalization. On May 6, 1882, Congress had already passed the Chinese Exclusion Act which meant that Chinese laborers and miners were excluded from entering America and Chinese already in America were denied the opportunity to naturalize. By declaring Wong a “citizen,” Justice Gray circumvented the will of Congress and of the People that prevailed at that time. 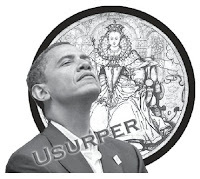 This was an usurpation of legislative powers as expressed by the will of the People of that time. Our naturalization laws today do not discriminate because of, among other things, race or nationality. Hence, there is no further need today to correct the social wrong that the Wong Kim Ark Court may have perceived but which it had no constitutional authority to correct. That the Wong Kim Ark Court was willing to make Wong a Fourteenth Amendment U.S. "citizen" by (1) legislating from the bench important national immigration policy; (2) disregarding the correct meaning of "subject to the jurisdiction" as expressed by one of the framers of the Civil Rights Act of 1866 (Rep. John A. Bingham confirms the understanding and the construction the Framers used in regards to birthright and jurisdiction while speaking on the proposed civil rights act of 1866 that was being discussed in the House on March 9, 1866: “I find no fault with the introductory clause, which is simply declaratory of what is written in the Constitution, that every human being born within the jurisdiction of the United States of parents not owing allegiance to any foreign sovereignty is, in the language of your Constitution itself, a natural born citizen...") and of the Fourteenth Amendment (Senator Jacob M. Howard of Michigan, the author of the amendment’s citizenship clause, described the clause as excluding not only Indians but “persons born in the United States who are foreigners, aliens, who belong to the families of ambassadors or foreign ministers”); (3) disregarding the existing U.S. Supreme Court cases of The Slaughter-House Cases, 83 U.S. 36, 73 (1873) (“the phrase, 'subject to its jurisdiction' was intended to exclude from its operation children of ministers, consuls, and citizens or subjects of foreign States born within the United States”) and Elk v. Wilkins, 112 U.S. 94 (1884) (which Justice Gray had himself written 14 years earlier and in which he said that "[t]he evident meaning of these last words [subject to the jurisdiction] is, not merely subject in some respect or degree to the jurisdiction of the United States, but completely subject to their political jurisdiction, and owing them direct and immediate allegiance”); and (4) in defining national U.S. citizenship, incorrectly utilizing the inapplicable English common law that prevailed in the British American colonies prior to independence and in the new states thereafter and prior to the adoption of the Consitution rather than correctly using the law of nations which controlled such a national and internation question and that was accepted by the new nation after adoption of the Consitution and which became U.S. common law, does not prove in any way that the Founders used English common law to define "natural born Citizen." 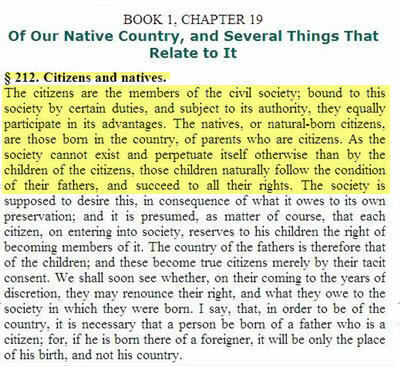 Also, Wong Kim Ark did not address what an Article II “natural born Citizen” is. Rather, it only declared Wong a “citizen” under the 14th Amendment (a member of American society), under the unique facts of that case which the Court believed cried out for a change in our Chinese immigration policy but which change should have been provided by Congress under Article I, Sec. 8, cl. 4 of the Constitution and not by the Court. That the Framers adopted the law of nations definition of what a “natural born citizen” is does not mean that they adopted for the new Constitutional Republic every aspect of the law of nations. This also does not mean that the English common law was totally rejected in the new nation. As we have already stated above, English common law did become the law of the individual states in many aspects and was used in many ways by state and local governments. But the English common law was not adopted for the operation of the new nation and federal government. Vattel was looked to for guidance in writing the Declaration of Independence (he wrote that the people have the right to overthrow a tyrannical sovereign for purpose of promoting their happiness) and for the new nation's federal constitution and form of federal government. The Framers were concerned with prescribing the eligibility standards for the office of President and Commander in Chief of the military, an office that is found only in the federal constitution. Additionally, the term “natural born Citizen” is only found in relation to this office. (Under Article I, Sec. 2 and 3, respectively, Senators and Representatives need only be “citizens.”) Along with “natural born Citizen” (in the original 1758 French text called, “Les naturels, ou indigenes,” first translated into English in 1759 as “the natives or indigenes,” and eventually into “natural born citizen” in 1797), concepts such as individuals and states are free in nature, purpose of government (promote commerce, revenue, agriculture, tranquility, happiness, stability, and strength), constitutional republic, written constitution, amending the constitution, separation of governmental powers, supremacy of the Constitution and federal law, independent judiciary, judicial review, naturalization, and punishing offenses against the law of nations, concepts which the Founders incorporated into the new Constitution, can all be found in Vattel’s treatise on the law of nations. The Founders knew that the new nation was currently populated with many persons who came to the colonies and states as newly-arrived immigrants. They also knew that the new nation, with its great territorial size and opportunities, would also welcome many future generations of new immigrants. The Founders were also well aware that they created the new Republic and its Constitution also for posterity and wanted to safeguard the new nation for future generations. Hence, for children born after the adoption of the Constitution, the Founders wanted any future President and Commander in Chief of the Military to have absolute and sole allegiance to the new nation by birth. This meant that they wanted that office to be available only to children born in the United States of citizen parents. They rejected any person who may develop foreign influence by divided loyalties from birth. The founders found Vattel’s law of nations definition of a “natural born Citizen” acceptable for what they needed in a future President. Hence, we can see that it is not reasonable to maintain that the meaning of “natural born Citizen” can be found in the English common law. Rather, that definition may be found in the law of nations as commented on by E. Vattel. All aspects of national citizenship laws during the Founding era and the adoption of the 14th Amendment were consistent with the law of nation’s definition of citizenship. Essay by: Mario Apuzzo, Esq. 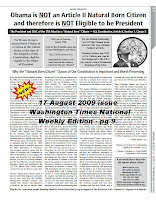 Constitutional Radio - BlogTalkRadio - 9:00 p.m. EDT Tues 4 Aug 2009 - Kerchner et al v. Obama & Congress et al - Update by Atty Apuzzo and Mr. Kerchner. Hosted by Dame Central and Dr. Kate. Hi all. I waited 1 1/2 hours on the line but got on during the last hour of the Bill Cunningham Show out of Cincinnati, Ohio, on Sunday night, 2 Aug 2009. "Willie" Cunningham was challenging people to give him a credible explanation as to how those two birth announcements got into the Honolulu newspapers if Obama was not born in Hawaii. So I decided to try and get on the show to explain it to him. It was a long, long wait, but I finally got on in the last 15 minutes of the show. I finally got on during the last 10-15 minutes of the third hour of his show. Below is the link to the podcast. Use the scroll bar to fast advance to the last 15 minutes of the show if you don't wish to listen to the whole 3rd hour segment of the show. Summarizing what I explained to Willie: I explained to Willie how those two newspaper advertisements in the Honolulu Advertiser and the other paper have no independent probative value. It's the garbage in garbage out data effect. If the birth registration was a fraud perpetrated by the grandmother, then those newspaper filings made by the HI Health Dept to those two newspapers (which was standard practice for all births registered) are therefore fraudulent evidence too. I told him the reason grandma did it was to simply get her new Kenyan born grandson retro-active U.S. citizenship, a valued and desirable thing to have even back then. Of course grandma when doing this never anticipated that her grandson would grow up to be the President one day and have this fraud and lie by her exposed. But it now is being exposed and that is what Obama is afraid of. Grandma Dunham in Hawaii was a shrewd banker and business lady and had lots of lawyer friends at her bank and elsewhere to tell her how easy it was to do, i.e., file a phony birth record in Honolulu for her new grandson. They surely told her the Hawaiian laws were so lax it would be very easy for grandma to do it via a simple mail-in birth registration form. No one from the Health Department ever checked the veracity of the facts for such filings by families back then registering a birth occurring at home, with no witnesses other than a family member. So over the course of the discussion with Willie, I told him, yes there is probably a birth registered for Obama in Hawaii in the vital records database, but this vital record is a false registration in there, and that I did not believe that Obama was really born there in Hawaii based on the contradictory evidence being provided in Kenya by Obama's Kenyan relatives. And thus, Obama does not want the original birth registration documents released because it does not show he was born in any hospital, nor does it show any 3rd party independent non-family member witnesses, and this lack of corroborating evidence in the Hawaii records, will dispute what Obama has been telling everyone, i.e., that he was born in the Kapi' olani Hospital. Thus he'd be caught in another lie he's telling to cover up the real truth. And thus, the testimony in Kenya will gain even more credibility if what Obama is saying happened in Hawaii does not check out via the original birth registration documents. Willie got it. It sunk in. At the end of my segment with Willie he says he's converting to a Birther. Maybe Willie will pass on what he's learned to Hannity and some of his other talk radio friends. 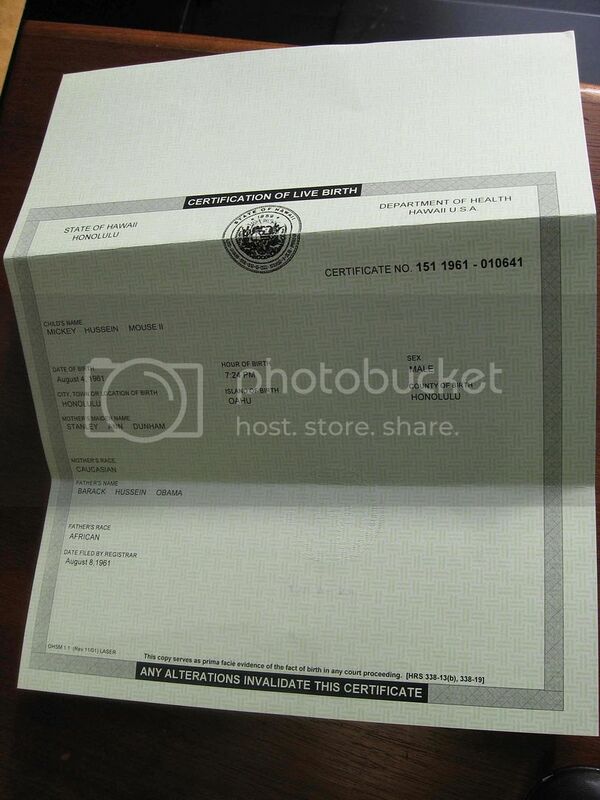 Breaking News - Picture of Obama's Alleged Kenyan Birth Certificate Placed on the Internet by Dr. Orly Taitz, Esq. For over a year now, we have a picture of a paper document provided only on the internet by Obama saying he was born in Hawaii. And now we have a picture of a paper document on the internet allegedly provided from Kenya saying he was born in Kenya. We have statements from people in Kenya, Obama's paternal grandmother saying he was born in Kenya and she held him in the hospital the day he was born in Mombasa, Kenya. And we have the Kenyan Ambassador to the U.S. acknowledging that it is common knowledge in Kenya since 2004 that Obama was born in Kenya. On the other side we have no contemporaneous witnesses coming forth to verify that they were present and/or have first hand knowledge that Obama was born in Hawaii. The Hawaiian official say there is a "vital record" in their files saying his birth was "recorded" in Hawaii. Their statements are only as good as the veracity of those proffered vital records back in 1961 or whenever they were provided to the state of Hawaii. But with the extremely lax birth registration laws in Hawaii in 1961, Obama could very well have been "born in Kenya" and "had his birth registered in Hawaii" by the grandmother or mother using the simple mail-in birth registration form, with no 3rd party witnesses needed, which was permitted under the rules and regs in 1961. See attached report for more about how easy it was to falsely register a birth in Hawaii in 1961. Two pictures on the internet. Which one is real? Or are both real docs but the underlying facts in Hawaii were based on false statements by the grandmother or mother in 1961 to obtained U.S. citizenship for her new born son, born in Kenya. We need a forensic investigation both in Hawaii and Kenya to determine the truth. Here are the links to the pictures of the documents and the CIA Officer commissioned investigators report as to how easy it would be to falsely register back in 1961 that a child was born in Hawaii when the child was not born there and could have been born anywhere. We should have a decision date in our case this week, hopefully tomorrow. Things are going to get very interesting on this matter in August, imo. The Congress needs to convene an emergency session to do a full scale investigation of this matter in both the Senate and the House with full subpoena powers by both political parties and launch a full forensic investigation of all records in Hawaii and Kenya and in Great Britain, where duplicate copies of birth in the British Colonies were kept in 1961. They should take testimony before Congress of Obama himself under oath on this matter or get a sworn deposition done of him in the White House under oath, on this matter. Obama needs to speak personally on this and under oath. They should have done this in the Spring of 2008 when they investigated McCain. But for the sake of the country, the world, and our Constitution, they need to do it now ... and as they say, let the chips fall where they may!